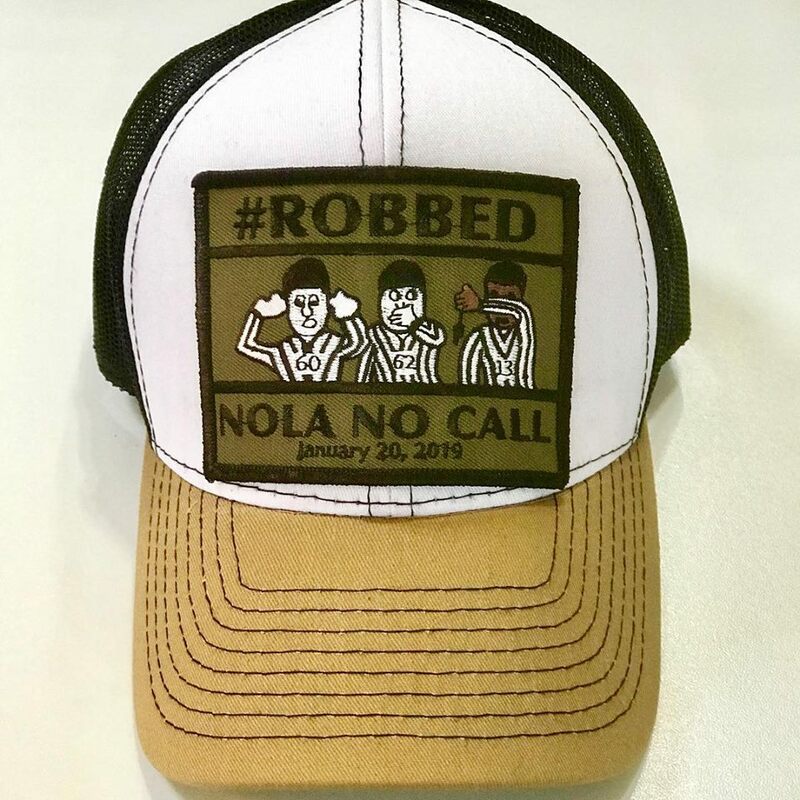 Check this hat out ! Posted in Who Dat's | Comments Off on The 2019 Saints Draft Hat. local business. 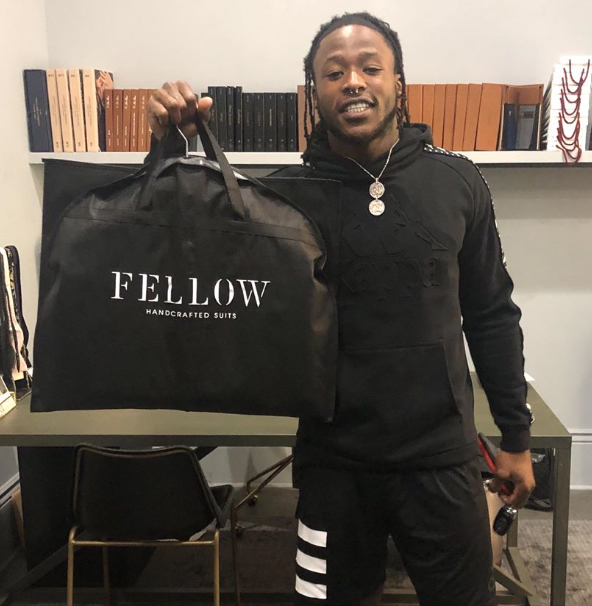 Check out Fellow if you need an amazing suit ! Posted in Who Dat's | Comments Off on Supporting Local Business ! In New Orleans, Sunday (Feb. 3), will be a day of block parties, second-lines and concerts with neighborhood bars festooned in black and gold as they host New Orleans Saints festivities to celebrate the hometown team. Everywhere else? It’s just Super Bowl Sunday. Well before New Orleans Saints quarterback Drew Brees encouraged the team’s fans to take the high road, they were doing just that. In response to what sports columnist Jeff Duncan called “one of the most egregious non-calls in NFL history,” referring to the lack of a pass-interference penalty in the Jan. 20 NFC Championship game that allowed the Los Angeles Rams to make a comeback and win, New Orleans fans began planning parties. There is no formal agency pulling this city together. New Orleanians just grabbed an oar and got this city moving in a positive direction. The Boycott Bowl, the Super Bowl protest concert on Sunday (Feb. 3), has sold out, according to event co-founder Travis Laurendine. He said more than 3,000 Who Dats have purchased general admission and VIP tickets to the concert on Fulton Street. Though Laurendine hopes to find more space by showtime, at this moment the event has reached capacity. 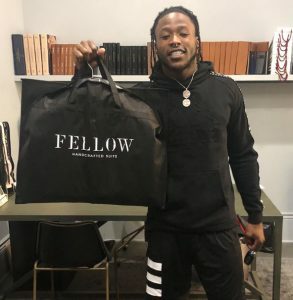 The NFL-alternative concert, which was founded by Laurendine, Brandon Rizzuto, and “Kango Slimm” Williams, was inspired, of course, by the Saints’ illegitimate loss during THE GAME THAT MUST NOT BE MENTIONED on Jan. 20. Baton Rouge, LA (January 9, 2019)…Henry Turner, Jr., “That’s My Saints” new single release is now available for download at www.suprememusic2000.com. The song is a tribute to the New Orleans Saints football team. The former Super Bowl 2009 (XLIV) winners are once again in the running for the National Football League’s grand prize after clinching the NFC’s Southern Conference Division Championship. The songs’ sound is based on early New Orleans blues and funk music with zydeco overtones. The single is currently garnering airplay on various radio and television stations in Louisiana. Want to hear a sample CLICK HERE ! Downloads only .50 cents so help support a member of the Who Dat Nation ! Posted in Who Dat's | Comments Off on New Song !! 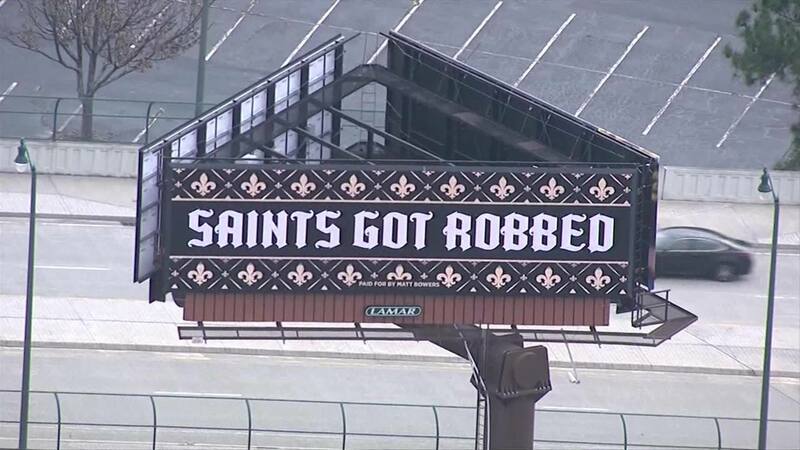 That’s my Saints ! What’s up Who Dat Nation! A great friend of the Who Dat Nation Pierre Thomas gave us a signed Who Dat Nation shirt today for us to give away…. want to know how to win it ?? Email us at contest @ whodatnation.com and tell us what you think the total will be for BOTH teams in tomorrows game. Example – Saints 31 / Rams 17 = 48. 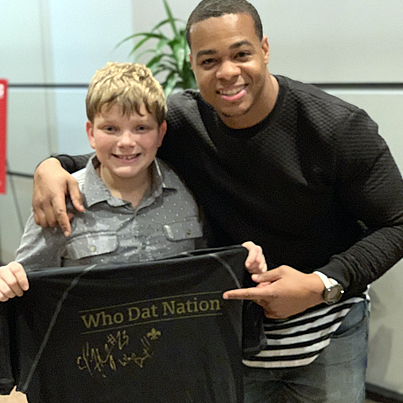 Posted in Who Dat's | Comments Off on Win a shirt signed by Pierre Thomas ! Sometimes a photo says it all! Posted in Who Dat's | Comments Off on GOAT! Many Saints fans were worried about the first quarter struggles against the Eagles, with the Saints quickly falling behind 14-0; but Bobby Hebert says not to worry too much. Hebert had a word of warning, though.